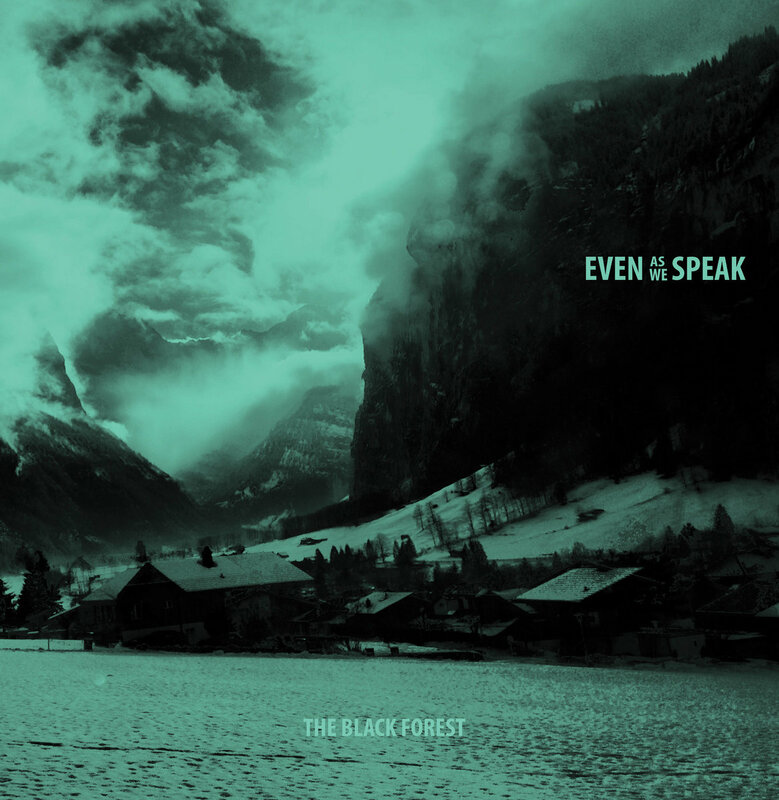 Over a month ago I devoted digital ink to a 2016 album by Scotland's Errant Boy. The album was indeed worth my time and effort, but when discussing albums long past the release date, especially by artists involved in other musical ventures, one worries that perhaps the band won't make more music and one has gotten the readers unduly excited. Fortunately, Errant Boy spares us that concern by releasing new song "Means". It has an Postcard Records Orange Juice/Josef K sound with excellent dynamics and a pace that gets our blood moving. And on Fridays, our blood needs moving. Oh, we would be remiss if we didn't mention that it is a free download. Thanks, Errant Boy. Now write a few more; we are insatiable. Introducing Cheylene Murphy, Ryan McGroaty, and Aimee Williamson, collectively known as Beauty Sleep. We think their brand of upbeat, hook heavy synth and guitar pop is a welcome ray of sunshine on the scene. A new EP, Nature Will Eat Me, is expected soon. Meanwhile, you can enjoy their latest single, "Until We See The Sun". Right here. Right now. Whether Sad Palace are indeed sad, or whether they live in a palace, are questions we'll leave for another day (read: we hope no one asks us about it because we have no idea). But the four-piece from Britain's south coast can be happy about how their latest single, "Frostbeat" turned out. The song offers two sides to the band in one package. After about three minutes of straight up melodic pop, a big guitar riff slams into the picture, grabbing the song and the listener (lovingly and, thankfully, figuratively) by the throat, and then dissolving. Knowing how to make a memorable impression is important in this industry. Well done, Sad Palace, well done. "Frostbeat" is out now via Kissability. Check your favorite digital outlet. The Deportees are a five-piece from northeast Scotland that have proven quite adept at a brand of Celtic folk rock that tends towards the dramatic. Their sound is full, layered and quite satisfying. The band's debut album is titled The Birth of Industry and will be available on November 3. The first single is the digitally released "A Single Truth", which thrills will rich harmonies, dark themes and insistent guitar lines. 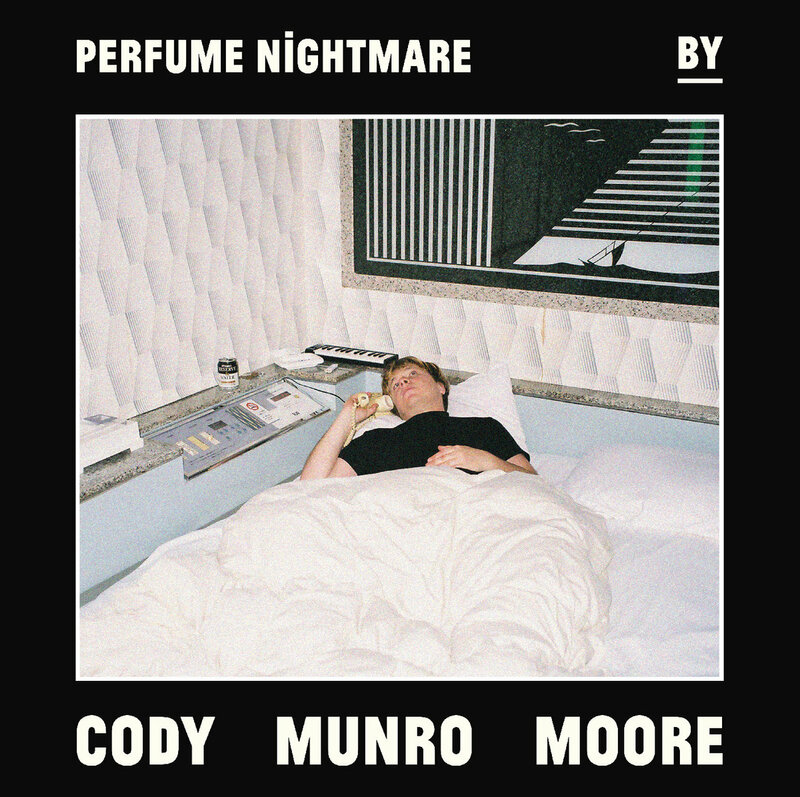 On Perfume Nightmare Cody Munro Moore shapes a post-punk soundscape with taut pop-rockers, '80s pop and a bit of house. The hooks are plentiful and the songwriting clever and smooth. And the Sydney musician's vocals, often reminiscent of The Cure's Robert Smith, are up to the task regardless of the genre at hand. As always, we give extra credit for employing a sax, such as on "Just Don't Need It Enough" and "Night Scene". You may be familiar with Cody's endeavors with Big White or New Lovers, but it doesn't matter if you aren't. This album stands by itself and we think it marks a big win for Mr. Moore. Perfume Nightmare is out as a digital download on September 15 via Moore's Dinosaur City Records. 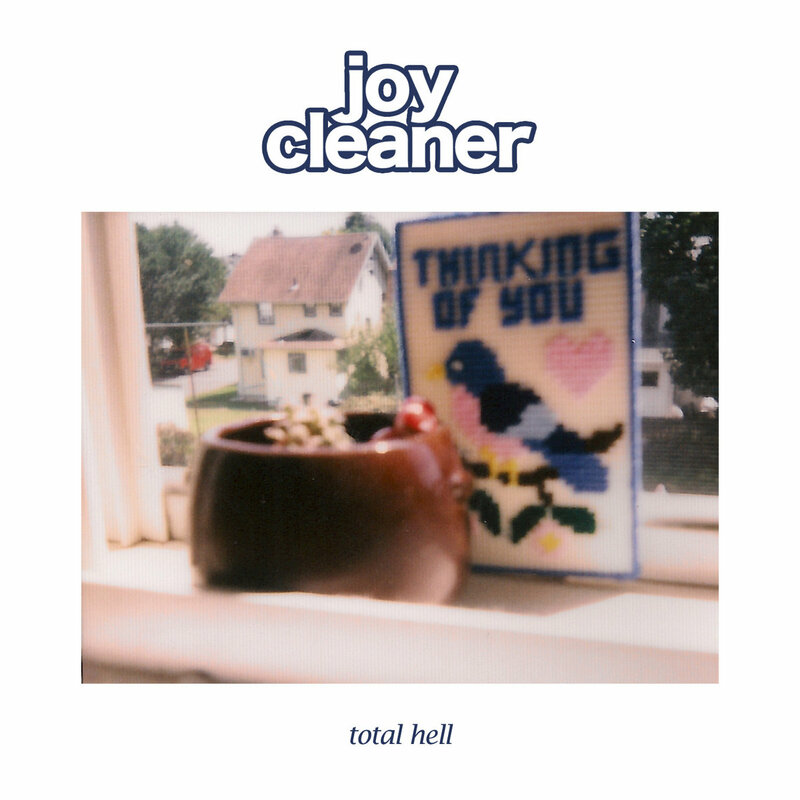 Your first question upon hearing Total Hell might be 'is this a compilations of hits from Joy Cleaner?' Your second question may well be 'who the hell is Joy Cleaner?' Fair enough, let's take the second question first. Joy Cleaner is a power pop trio from New Jersey which includes Kyle Wilkerson of the late Makeout Vertigo. Kyle and pals Joey and Cory display a knack for loading each track with wall-to-wall hooks and playing them with anthem-level energy. As for the second question, to my knowledge this is their only album to date, but it is full of sharp-edged indie pop gems. Good stuff at a good price! Total Hell is available now in digital and CD formats from Jigsaw Records. See the Bandcamp link below. Purveyors of bittersweet pop of high quality, BMX Bandits has been around long enough to now have released their tenth album. Admittedly, that isn't an exceptionally high number for a band formed in 1985, but BMX Bandits have always lived via their own schedule. The lineup has changed numerous times, with the constant being founder Duglas T. Stewart, who named the band with the expectation that they would be short-lived. The cast of other performers over time have included, among others, members (or future members) of Teenage Fanclub, Superstar, Soup Dragons, Boy Hairdressers, The Vaselines and Eugenius. 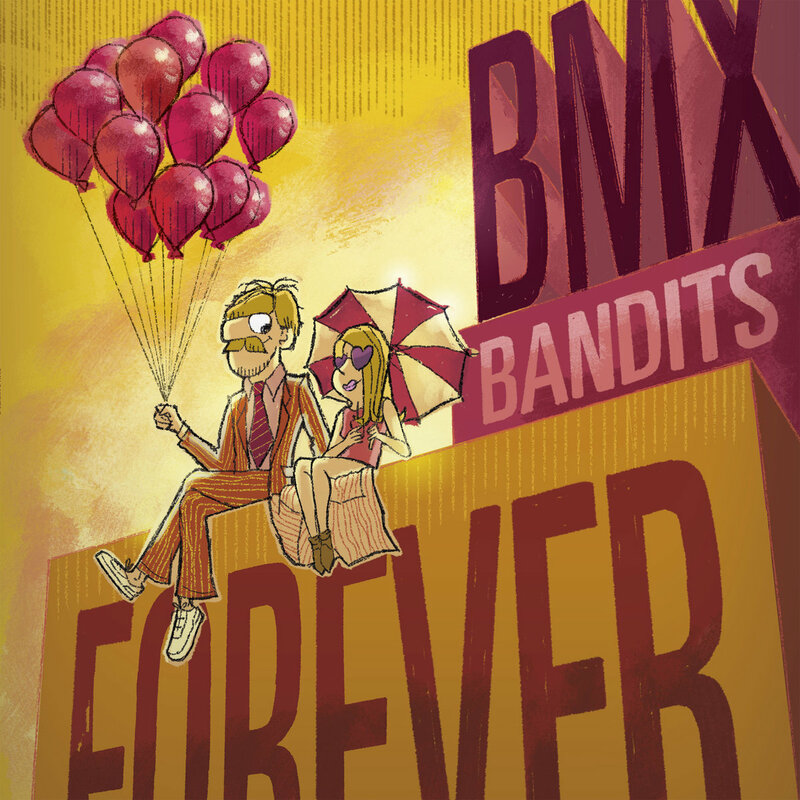 BMX Bandits Forever does not contain any surprises for fans of the band, but that is intended as praise, not criticism. The album contains a generous sixteen songs of the sort of guitar pop that those of us who admire the band expect and cherish. With ace-colleagues such as Stuart Kidd and Anton Newcombe, the band offers classicn heart-on-the-sleeve music, with sunshine and regret never far from the surface, and plenty of humor and wry observations to keep the listener engaged. When a band remains active this long, there is a good reason, and it is that it delivers what we need, and BMX Bandits Forever delivers.